The Genelec M030AM is a 2-way active monitor designed and built for music creation with all of the connectors and room response controls you need to plug and play. They are some of Genelec's most sustainable speakers yet, featuring their long-lasting Natural Composite Enclosure for exceptional sound quality. It's these sustainable materials and technical innovations that take the M Series beyond the ordinary. From the drawing board to the final package, every single monitor is carefully handcrafted under one roof in Genelec's factory in Finland for unmatched attention to detail. 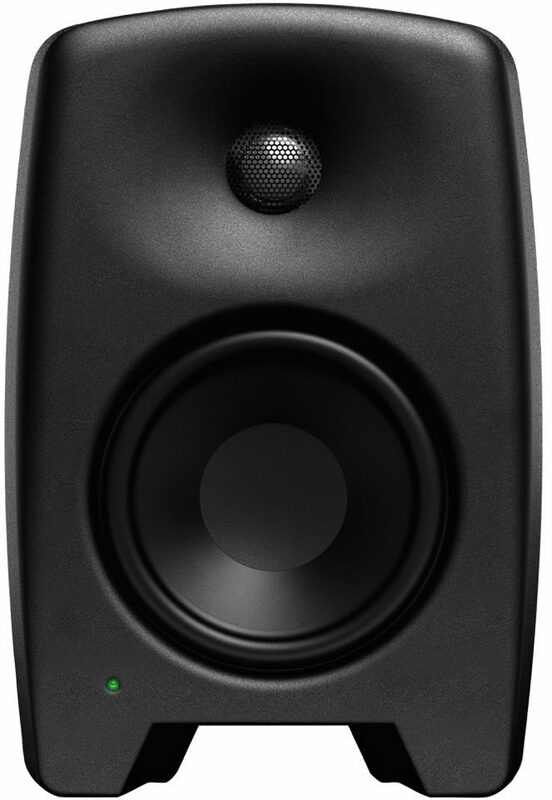 The Genelec M030AM is designed and built to be truthful to the source and to ensure enduring listening performance. The Natural Composite Enclosure is an environmentally friendly Finnish wood composite combining controlled directivity with minimal diffraction. Intelligent Signal Sensing power management for energy saving with less than 0.5 watts of power consumption in standby mode. 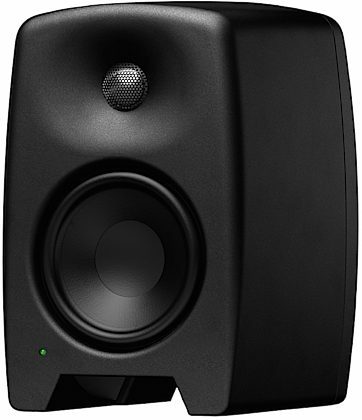 Low distortion, high output from power-efficient Class D bi-amplification by Genelec. Low product lifecycle carbon footprint. Individually tested and calibrated according to Genelec's stringent standards. Room response controls for easy adjustment to your environment. Low-turbulence reflex port design, flat frequency response, free of delayed resonances accomplished with the curved and internally braced Natural Composite Enclosure. - Natural Composite Enclosure cabinet including and Laminar Integrated Port, magnetically shielded. - Integrated crossover and Class D amps. - Woofer 50W and tweeter 30W, easy access tone controls on rear panel. - Auto-switchable power supply 100-230 volt. - On-Off power switch in the back, two-pin power cord, type IEC C7. - Intelligent signal sensing power management. zZounds is an authorized dealer of Genelec products.